CFAP is a crew training program designed and offered by the East Farm Commercial Fisheries Center of Rhode Island and in cooperation with the University of Rhode Island, commercial fishermen, and the supporting shoreline businesses of Point Judith. 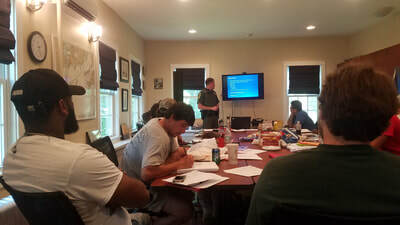 The training will provide essential knowledge and skills to hard-working, self-motivated, and dependable men and women. 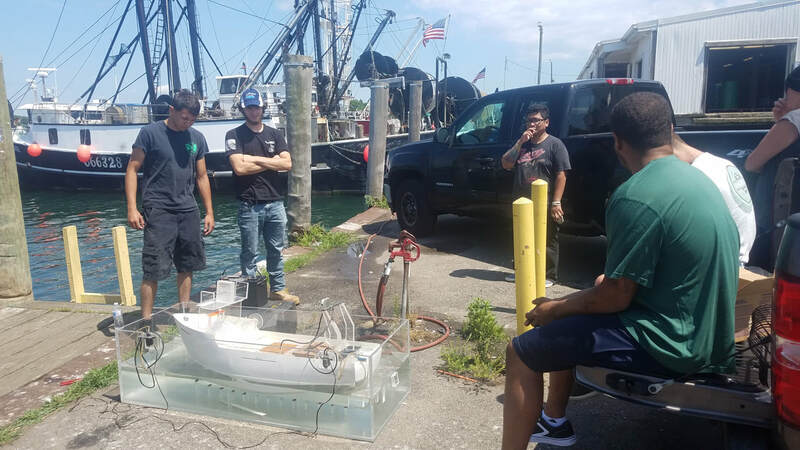 Upon graduation, participants will have the potential to become the next generation of conservation-minded fishermen and secure full time employment aboard local commercial fishing vessels. The program consists of hands-on and classroom-based training sessions. Hands-on components will include safety training, seamanship, navigation, basic vessel maintenance. gear design and repair. Classroom sessions will include fishing as a business, Rhode Island fisheries management and regulations, cooperative research, data collection, species identification, and discussion about the ethics of responsible fishing practices. 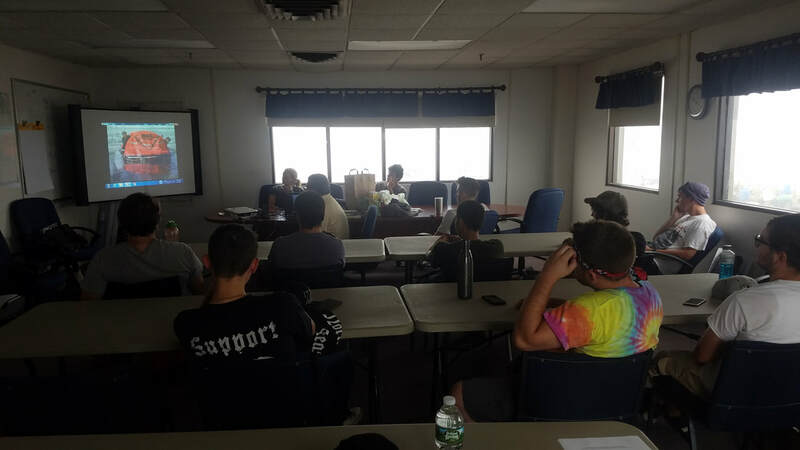 Training locations will consist of both Point Judith and Kingston, Rhode Island. 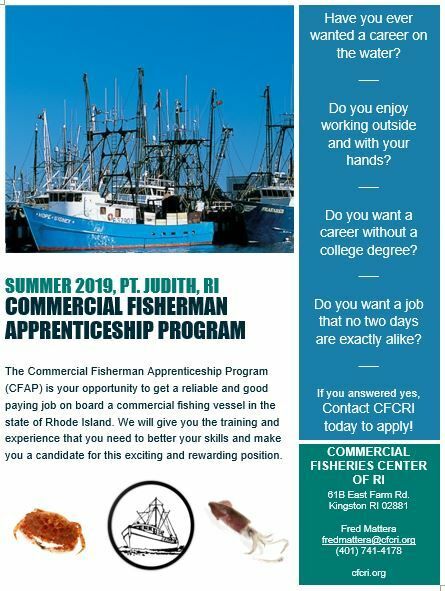 CFAP is fully funded by Real Jobs Rhode Island. 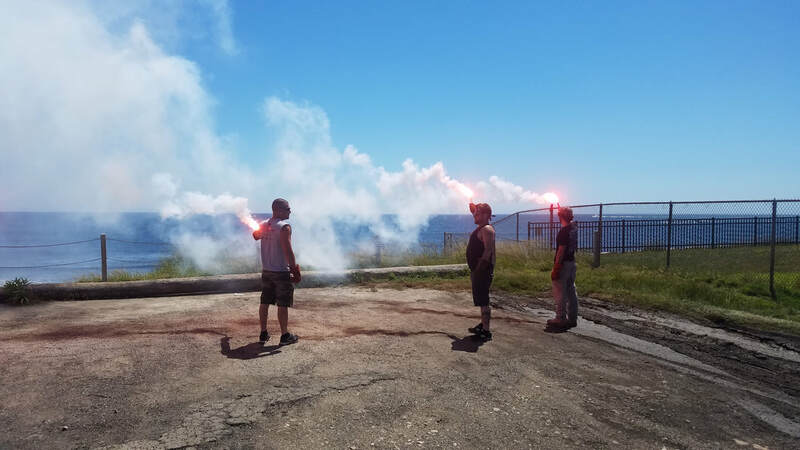 We are now accepting applications for CFAP 2019. The program will begin June 24th, 2019, applications are due by May 1st, 2019. Download the application here and email it to us, or fill out the online application with the button below. What is Involved and Provided? 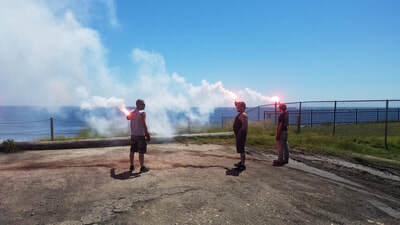 Rhode Island is home to various types of fishing. We Realize that not all fisheries are a good fit for everyone. 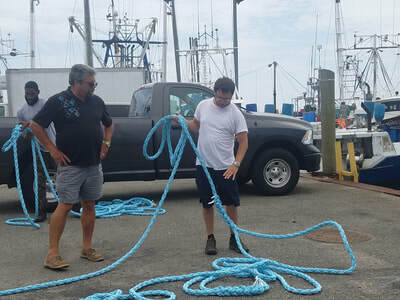 Because of this, we now offer different fishing career paths, such as rod and real-head boat and private charter boats, scalloping, gillnetting, lobster and fish pots, and trawling. Apprentices will learn about the different pathways and be able to choose different fishing types to try out. Trainings will be tailored towards different fisheries, and students will be able to choose the path they feel best meets their interests. Operating Spring, Summer, and Fall with some boats operating during the Winter, Rhode Island is home to over 200 charter boats. 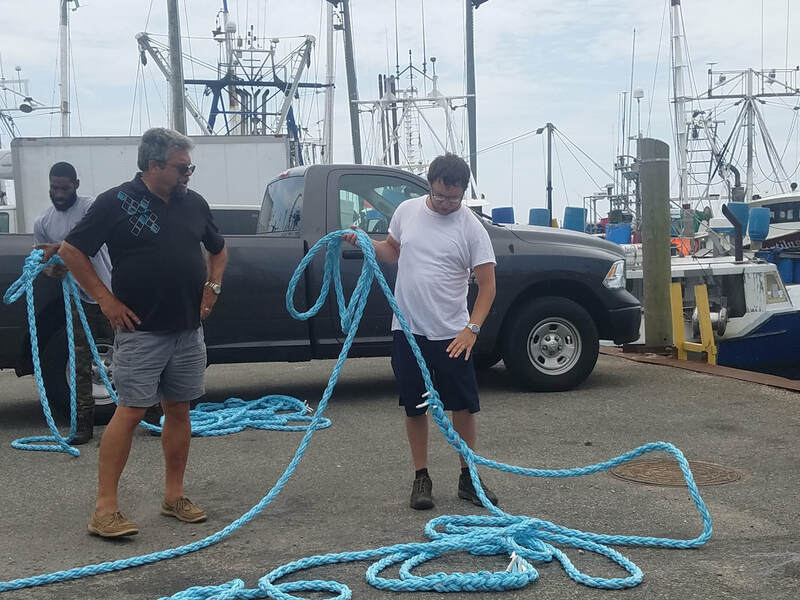 These boats are chartered for numerous occasions, including off-shore tuna trips, inshore fishing trips around Block Island, and to Coxes Ledge, burials at sea, shark cage diving, and even lighthouse and windfarm tours. Deckhands can expect to be at the boat before sunrise and go out fishing anywhere from 4 hours to 2 days depending on the vessel and trip type. Deckhands on these vessels are paid per trip by the captain and also tipped by those chartering on the vessel. In this industry, having an outgoing personality is key! 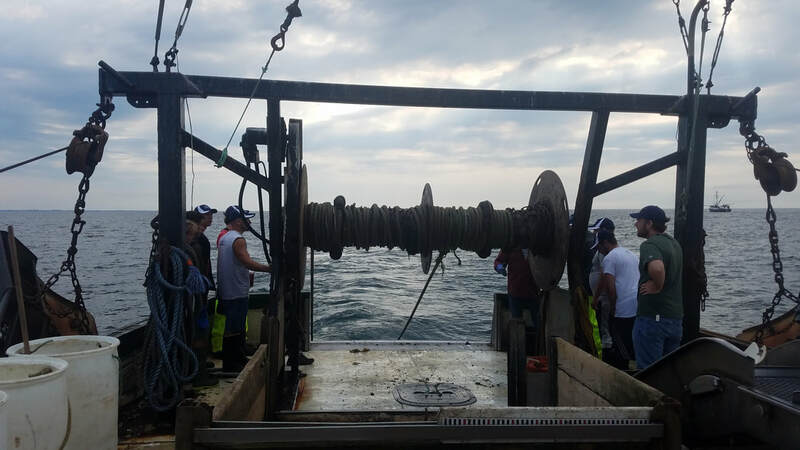 Rhode Island is home to a small inshore scallop fleet that operates year round. These vessels are generally 30-60 feet in length and trips last anywhere from 10 hours to 2 days. 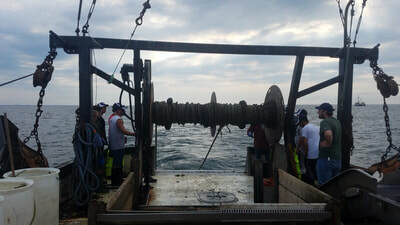 Scalloping consists of towing a large dredge (pictured above) behind the boat for an hour. During this time a deckhand will spend time picking the deck, shucking scallops, filleting monkfish, and preparing for the dredge to be hauled back. Deckhands in this industry must be well fit, able to stand for hours, and be strong enough to work with the dredge. Another small Rhode Island fleet is the Gillnet fleet. These vessels range in size from 25 to 50 feet in length. The trip length on these vessels is anywhere from 8 hours to 4 days. Gillnetting vessels here in Rhode Island target numerous species including skate, dogfish, monkfish, and fluke. Vessel crew size is usually 2- 4 people. Deckhand responsibilities may include cleaning, net repair, handling fish, and basic vessel maintenance. In Rhode Island we have both an inshore and offshore fleet of lobster boats. The inshore fleet consists of smaller boats ranging from 20 to 50 feet. These boats generally leave the docks early morning between the hours of 3 and 6 and return between the early afternoon and sunset. Many of these boats do not just engage in lobstering, but use other forms of traps to capture fish, crabs, and whelk. 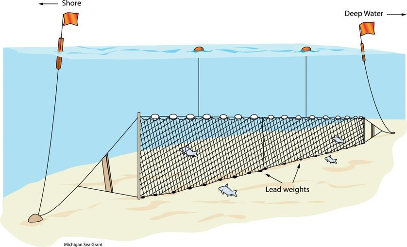 The deckhands will be working with bait and stacking heavy traps on deck. Offshore lobstering is a bit different. Boats are much larger and trips range from 4 days to a week. These boats do not participate in other fisheries and have a crew of 3 to 6 people. 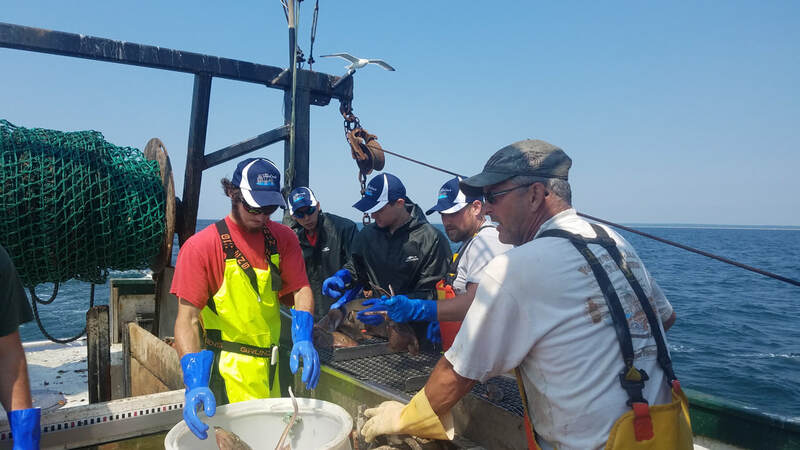 Deckhand responsibilities range from stringing bait, to cooking, cleaning, handling lobsters and fish, and basic vessel maintenance. 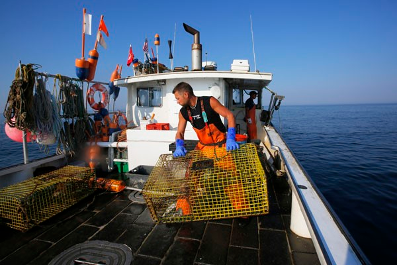 The largest commercial fishing fleet in Rhode Island is the trawlers. 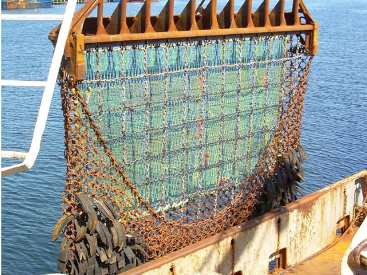 These vessels range in size from 30 to 100 feet and trawl for numerous species depending on the season. As with other fisheries, duration of the trip varies with vessel size. Trips can range from 8 hours to 10 days. On a trawler, crew sizes also range in size from a 2-person crew to about 6 people. 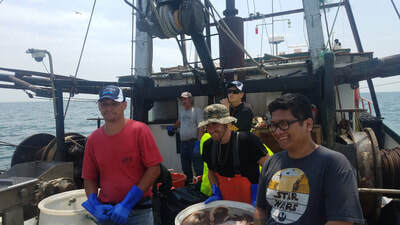 Different species are caught some such as squid, scup, butterfish, and whiting. Deckhand responsibilities include cooking, cleaning, sorting fish, helping stock the boat, and other basic maintenance needs.